Coconut Oil is used daily by many people for skin, scalp & hair care applications. Our coconut oil is cold pressed & natural for the best quality. Coconut is one of the world’s most nourishing superfoods. This creamy taste of the tropics is great for cooking and baking, enhancing your favorite recipes, and body care. 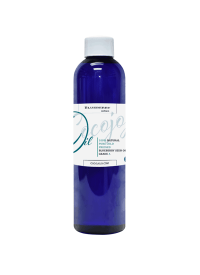 Our coconut oil 76 is fully refined and deodorized so you don’t have to worry about any smell. 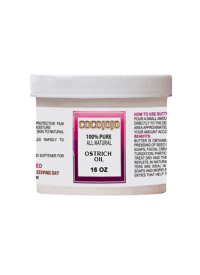 You can use the luscious, soothing oil on your skin and hair. Use the wonderful oil of the coconut as a natural skin moisturizer, eye make-up remover, or deep conditioning hair treatment. Combine coconut oil with coconut sugar and essential oil for an exfoliating, refreshing body scrub. Shop at Cocojojo.com for all your cosmetic and skincare needs. Your skin will thank you! 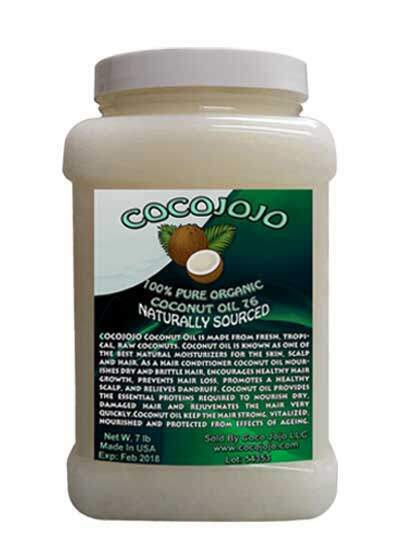 Disclaimer: Before purchasing please note that all information contained within Cocojojo LLC and this website are for reference purposes only and are not intended to substitute the advice given by a pharmacist, physician, or any other licensed health-care professional. Our products have not been evaluated by the FDA and are not intended to diagnose, treat, cure, or prevent any health condition or disease. All our products are for external use only. Unless your Medical Doctor allow you to use this product it should not be used by anyone who is pregnant or under the care of a medical practitioner. The information on this page is has been compiled from published sources and is provided only as a guide. Although every effort has been taken to ensure that information published on this page is correct and up to date, Cocojojo LLC cannot guarantee the accuracy of all information presented, and accepts no liability in respect of any omission or error. The customer should always satisfy themselves as to the ultimate suitability of a product for an intended application. Cocojojo LLC accepts no liability in the unlikely event of an adverse reaction occurring when using one of its products. All facts, details & recommendations on our page are provided for information purposes only and are not intended to diagnose, prescribe or replace the advice of professionals. Our products are not a medication, and we can only make recommendation for suitability of our products in certain conditions. Any recommendations accepted by a purchaser are accepted entirely at the purchasers risk. By purchasing our products you accept responsibility to check with a professional before using any products that may interfere with drugs or medical conditions. By purchasing our products you recognize and accept the fact that that some natural ingredients, essential oils in particular, may still cause sensitivity in susceptible individuals and that Cocojojo LLC will not be held responsible for such occurrences. We encourage those with sensitive skin to make a patch test on the skin for possible reactions. Cocojojo LLC accepts no responsibility for incorrect use of information or products.